A recently discovered cave that now joins a cave system has the world in awe. 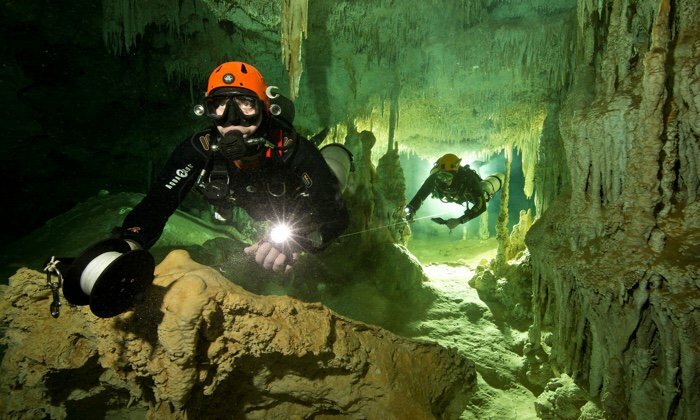 This is easily the world’s largest underwater cave and it holds many secrets. 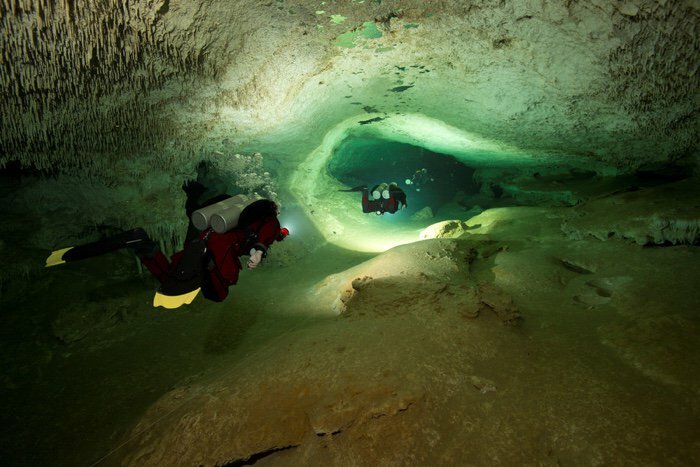 This cave was discovered near the city of Tulum, on Mexico’s Yucatan Peninsula. 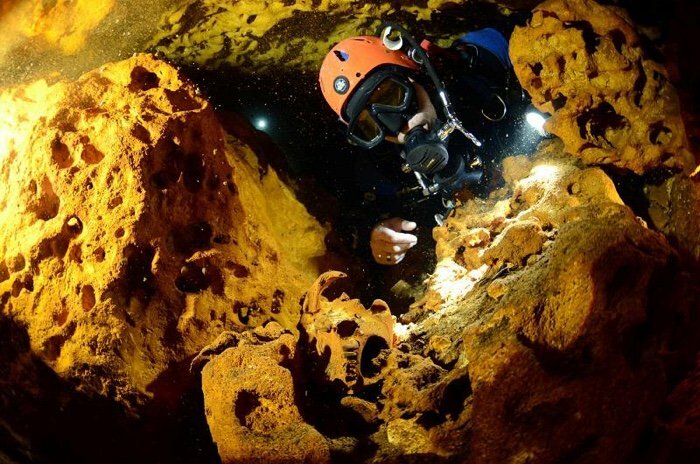 It connects two previously known flooded caves into a 215-mile-long stretch of wonder. This cave is spectacular and even holds evidence of America’s first settlers, Mayan culture, and animals that have been extinct for quite some time. It took ten months of work to figure things out, but now that they have been found who knows what is in-store. 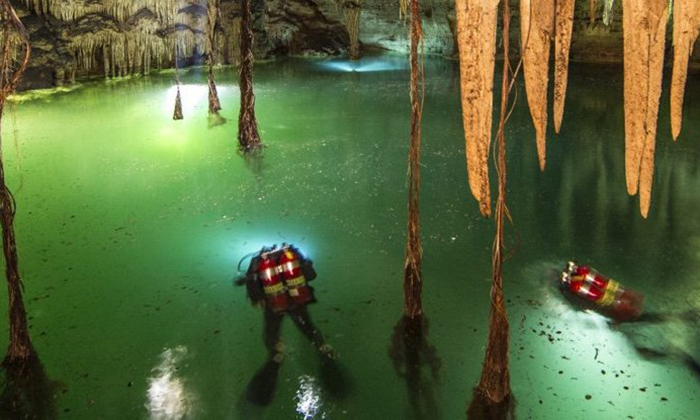 The group behind this underwater exploration was titled the Great Maya Aquifer Project (GAM) and what they have found is monumental. Robert Schmittner GAM director of exploration has been looking for this connection for at least 14 years. He and his team have been mapping out these and boy, are there quite a few. This find is quite valuable and supports a great biodiversity. ScienceAlert reported that de Anda is in charge of GAM and that there are close to 400 submerged cave systems located in the region itself. This makes up about 870 miles of flooded freshwater tunnels. 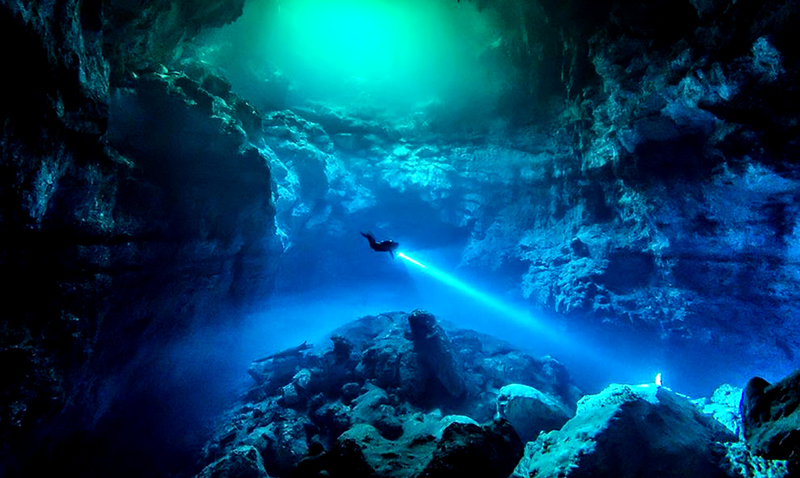 Because of their work, Sac Atun is now recognized as the largest underwater cave in the world. Through their work, this cave could also end up being much bigger than it is even now. In the previously unexplored areas, preserved Maya artifacts and even human remains have been found, who knows what else will be uncovered as time passes. Check out some of the marvelous photos of this cave below as well as the video for more information. I for one am beyond excited to see where this takes us. There is so much to learn from this gigantic underwater mystery. Isn’t it beautiful? This labyrinth of paths proved to be quite the feat. I can only imagine how accomplished these researchers feel. This is a truly astonishing find!